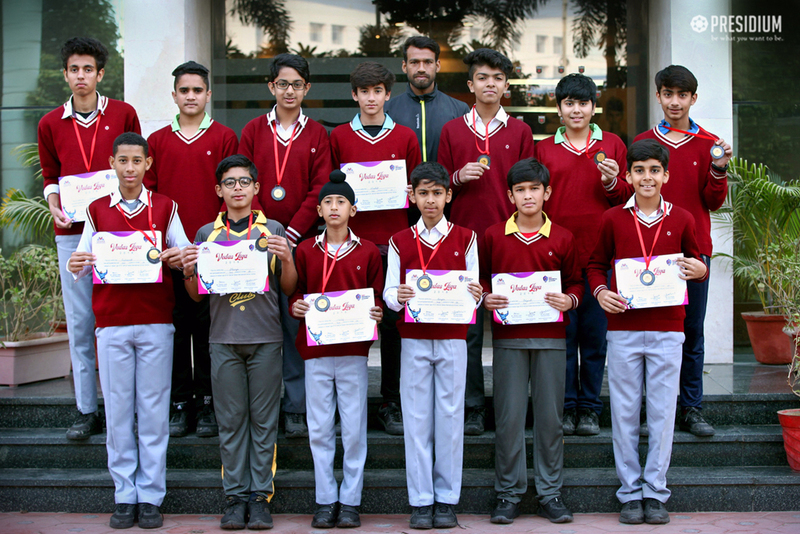 The young football team of Presidium Gurgaon exhibited great determination and confidence as they won medals at an Inter school football competition. It is a moment of immense pride for the school to see the budding footballers add another feather to the cap of glory. We congratulate all the members of the team and their coaches for this stupendous achievement.